What's a Temporary Filling and Why You Need One? Iodoform-free solution for a wide range of surgical procedures requiring hemostasis and long-term anti-bacterial effect. with specially formulated to whiten endodontically treated, discoloured teeth by "walk-in bleach" technique. DSI Syntoss Bone graft is a synthetic and biocompatible with similar mechanical properties to bone. This bone graft is designed to be reabsorbed and replaced as the natural bone that heals over a few months’ time and edure to further future. DSI Alyoss Bone Graft offers an osteoconductive platform for bone regeneration based on the blend of two most popular dental bone types - all in one syringe! Exceptional radio-opacity, low shrinkage, low solubility, great adhesion to the walls. Quality flow physical characteristics, non-toxic and stainless formula. Generous operating time. Hermetic seal. Rapid, stress-free preparation and less waste. Fight peri-implantitis by sealing the micro-gaps at the two-component implant systems, making it impenetrable for the bacteria and preventing infection. All-included set of materials needed for composite-to-porcelain, porcelain-to-metal, and porcelain-to-porcelain repairs. DSI Syntoss Biogel is a multi-purpose periodontal restoration gel. Versatile flowable composite with flexural and tensile strengths comparable to the best hybrid composites. Hydraulic bioceramic material for repair and vital pulp therapy. Used for filling, sealing and restoration of the perforated root apex and pulp isolation. DSI Sponge - sterile hemostatic rectangular socket plugs in individual blister packaging or a glass jar. DSI Sponge Plus has a triple action: it stops the blood flow and disinfects the wound while reduce the patients pain and discomfort at the same time. Acts fast, reliefs the pain & swelling. 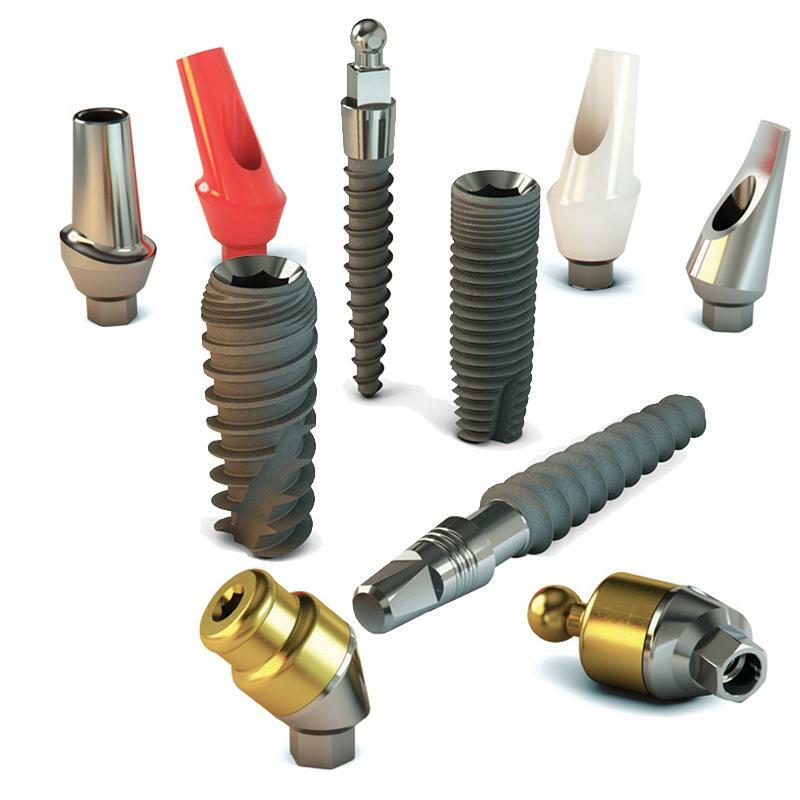 The regulatory status of different devices in the DSI Dental Implant System is not the same in all regions.